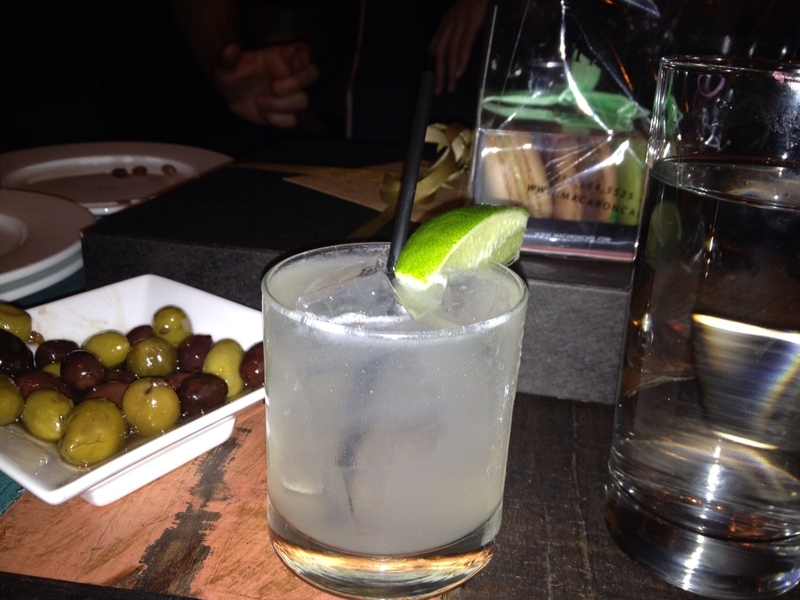 CORKBUZZ made me a great margarita – but that’s not why you should go. You should go for the wine (the name makes more sense once you know it’s a wine bar, or as they call it, a “Wine Studio”) and go for the food (more on that later) and because the staff is friendly and helpful (really!). I know all of this because I celebrated my birthday there last week. CORKBUZZ reserved the “Living Room” for my party, a comfy seating area in the front, and they didn’t ask for our fingerprints or first born as a deposit. They were just happy to do it. By the time I arrived on my birthday night, my friends had started a bottle of red and a bottle of white and when our waiter Matt asked if he could pour me a glass, I asked him if I could have a margarita. The only hint that I was the only person to ever ask for a margarita at CORKBUZZ was that his eyes got a little wider and he wasn’t quite sure if they could pull it off. But they did pull it off – and it was great – just enough tequila and fresh lime. The food was also great. So good in fact, we ate dinner twice. We ordered when all my friends arrived and later, after more wine, we ordered again. Throughout the night we shared Bucatini with Brussels and Chili Oil, Potato Hash, Crab Beignets and Lamb Chops…. The Bucatini is so good you might need to order it twice too. When my friends and I are on a roll, our consumption is more than conspicuous. I probably don’t need to say that since I just told you we ordered two dinners. Still, it was odd that CORKBUZZ ran out of stuff – first the white wine, then the red, then the lamb. We bounced back with new wine picks and oysters. Another thing to know about my group of friends, our bounce back skills are admirable. Thank you, CORKBUZZ for a great birthday night. We will be back so please stock up! And for anyone who wants to go give it a try, you’ll find CORKBUZZ at 13 East 13th Street in NYC. And thank you to all my friends who helped make my birthday so special. I’m truly lucky to have you. I can’t wait to visit with you! And: I MISSED YOUR BIRTHDAY? We must amend this!